One of the biggest hallmarks of video games is the boss fight — a head-on battle between the player and the strongest enemy up to that point, if not the final enemy. Usually, it’s a test of skill and wit; still, there are times when boss fights get so absurd and so esoteric that the creators behind them would sooner dive out the window than explain their thought processes. It’s high time to celebrate that absurdity — and question the method to so much madness — with this list of twenty unabashedly-weird boss fights. 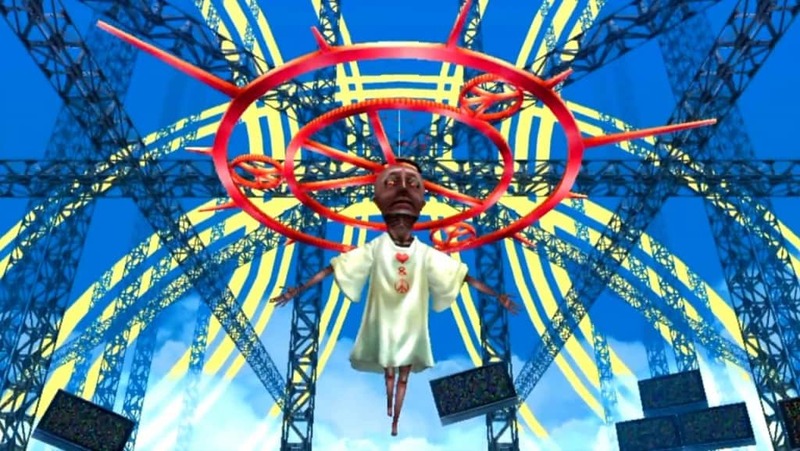 In all honesty, there are plenty of bosses that one could pull from Persona 4; that’s to be expected when the good guys are going up against manifestations of inner turmoil. Despite that, Kunino-Sagiri deserves all the recognition it could get. It’s the capstone to one of the game’s most dramatic arcs, but instead of being some nightmarish demon, it’s a flying, giant-headed hippie that’s convinced it’s a savior — and is willing to kill a bunch of high school students with ice and mind control to do it. What a hero. True to its name, Gunstar Heroes features plenty of side-scrolling, trigger-happy action — but the boss of the mines takes it to an extreme. 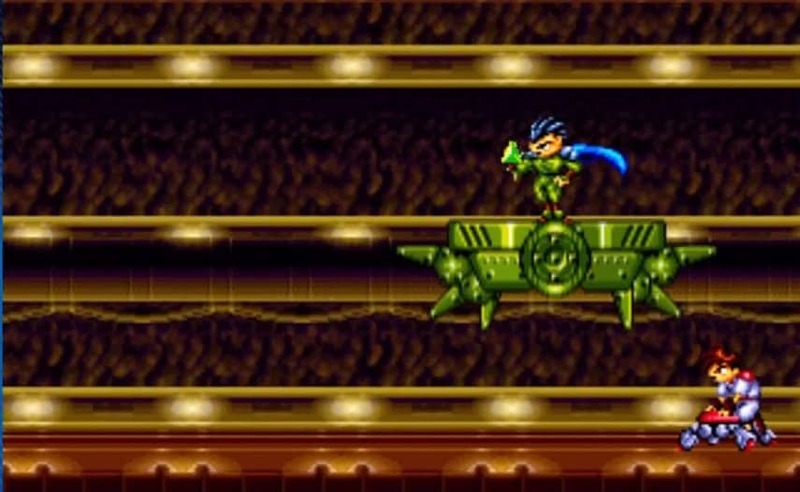 The caped Green rides in on a flying platform, which proceeds to transform and attack during a high-speed chase; by default it starts out as a giant soldier, but it has no problems turning into a pistol the size of an SUV. As if that wasn’t enough, it can also transform into an urchin, an eagle, a tiger, a tail, and a crab. It’s a long fight that gives the player plenty of time to wonder why anyone would commission a machine that turns into steel crustaceans. It’s hard to take God Hand seriously, mostly because it doesn’t take itself seriously. Even if there is a plot about fighting demons, it’s more about using crazy attacks against crazier opponents — such as a group of dwarves doing their best impression of the Power Rangers. They may be small, chirpy-voiced, and generally unattractive, but that won’t stop them from filling the arena with lasers and high-speed combination attacks. Then again, that also won’t stop leading man, Gene, from hassling them so much their leader bursts into tears. Super Mario 64 may have been one of the biggest first steps into 3D video games, but it helps make an already-dubious canon even more confusing. The very first boss in the game is a sentient explosive with a crown and mustache, and can only be beat — albeit easily — by throwing him on his backside. That’s troubling enough, but many questions go unanswered; why he’s the king, where his kingdom is, what war he’s apparently fighting, the list goes on. 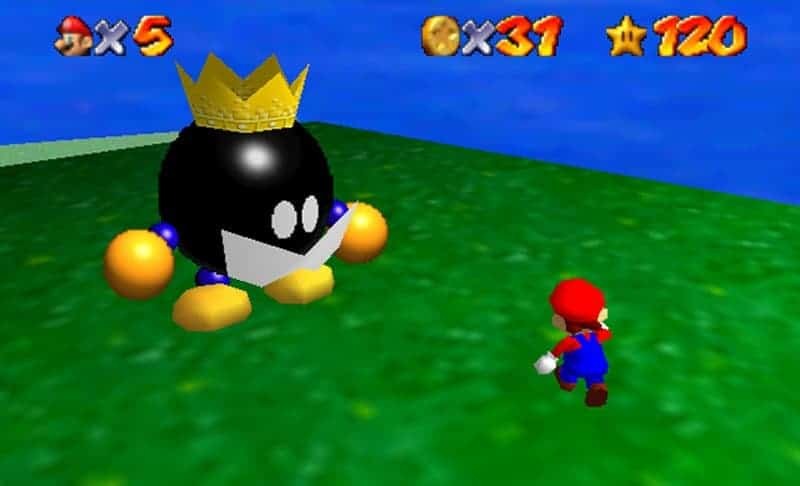 Distressingly, he doesn’t even threaten to explode when Mario pressures him with regicide — hardly becoming behavior for a bomb chosen by providence. Moai head aesthetic aside, there’s nothing strange about The Wonderful 101’s Wallgah-Goojin at a glance. But once the boss fight starts in earnest, things get a little unusual; instead of taking on the massive machine with a team of suited fighters, the player commandeers a second, smaller machine to punch the transistors out of Wallgah-Goojin. Essentially, the game turns into the Nintendo classic, Punch-Out! — complete with star punches, knockouts, and even enemy tells. 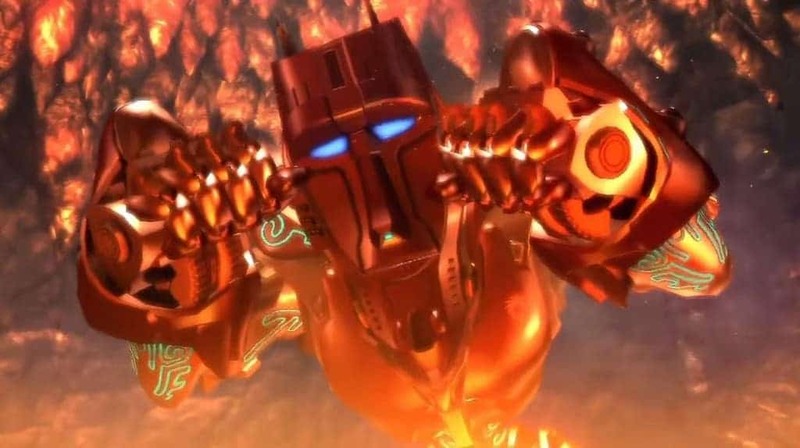 That begs the question of why a death robot would need twitching eyebrows, but on the plus side, the fight takes place in a volcano. That’s always appreciable. 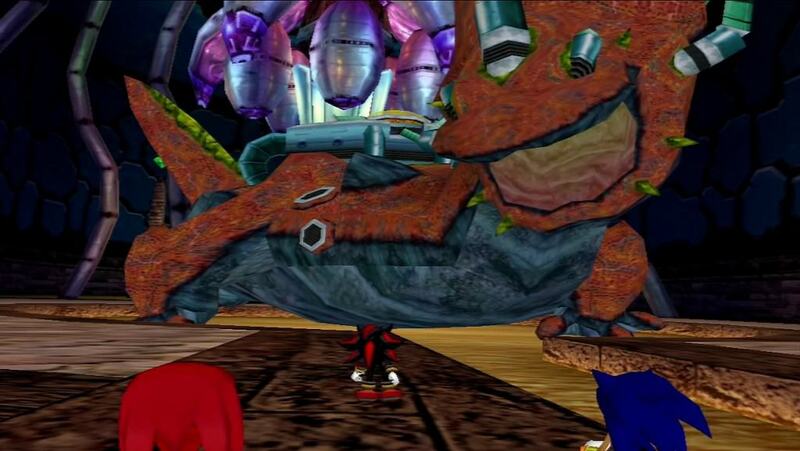 The key thrust of Sonic Adventure 2 is that the blue hedgehog has to deal with the “ultimate life form” — and by game’s end, the prototype of that life form. Said prototype is a dinosaur with a giant life support system built into its back, which would help explain why it only reached the prototype stage. It’s big, has poor mobility, attacks slowly, gets tired easily, and its ace in the hole — manipulating gravity — only makes it easier for the player to score the final hit. It’s a real relief to know that the scientists behind it went right back to the drawing board. The bosses in Devil May Cry 3 are, in general, as easy to stop as a bullet train — but that doesn’t make them any less enjoyable. 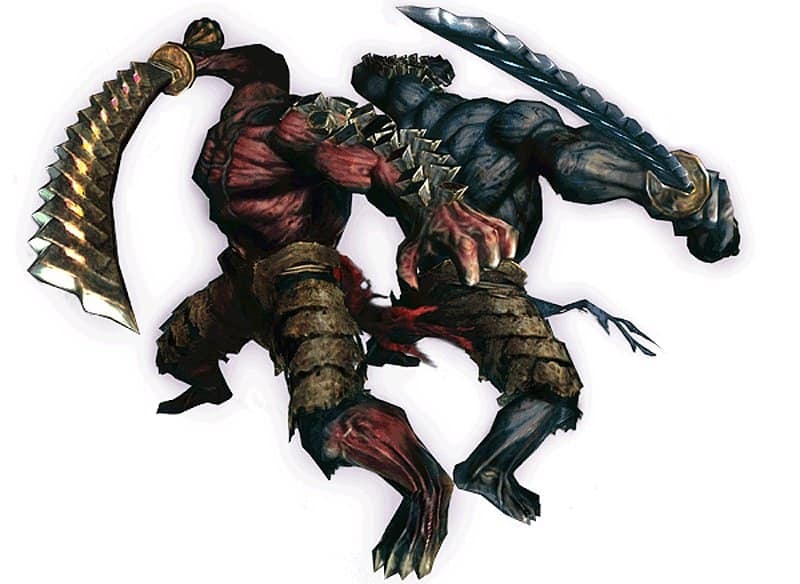 One memorable encounter has demon hunter Dante go up against Agni and Rudra, a pair of warrior swordsmen that the player has to defeat simultaneously. Weirdly, the two of them are cheery, spirited, and good-natured; that’s easy to overlook, since their tiny heads are grafted to the bottoms of their swords. Defeating them lets Dante wield their swords as his own, not to mention fling fire and wind at his leisure. The trade-off: the swords can still talk to him — at least they would if Dante didn’t force their silence. In his defense, he hates anyone with a bigger mouth than his. Street Fighter III — its Third Strike iteration in particular — is considered by many to be the pinnacle of the fighting game genre. Not a lot of that praise would go to Gill, though; he’s a massively overpowered foe with AI that makes plenty of players break their controllers in half. It’s bad enough to lose to someone with control over the elements and the power to resurrect himself after a hard-won battle, but another entirely to lose to a red and blue zealot wearing what amounts to a diaper. 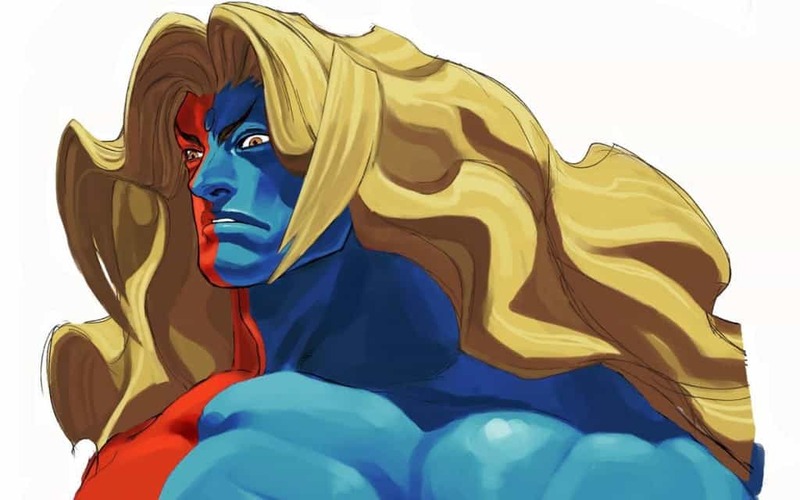 Not even his flowing golden locks can save such a bizarre boss. 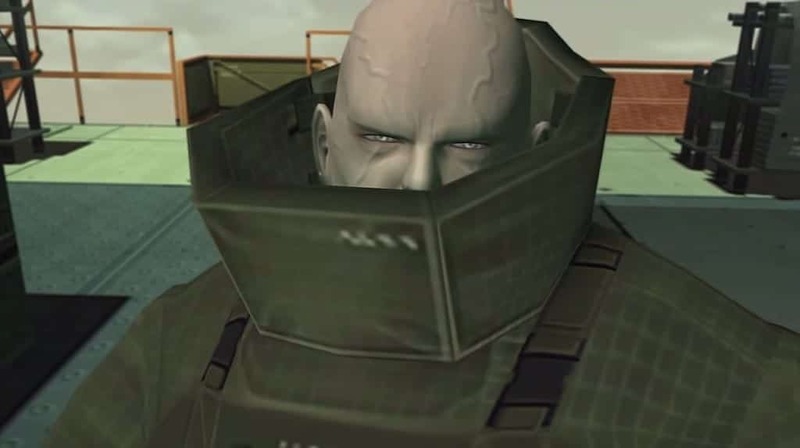 Metal Gear Solid 3: Snake Eater has its fair share of strange bosses — a series standard, without question — but The Sorrow packs in a special gimmick: he can’t be defeated in the traditional sense. He can’t even be hurt in the traditional sense; the player has to walk down a river in the middle of a storm that came from nowhere, and confront the ghosts of every enemy soldier killed up to that point. The only way to beat him — if one could call it that — is to use a pill the player normally uses to stop faking death. Fighting the embodiment of past sins isn’t exactly typical in a medium about shooting the bad guys and saving the day. Before its release, the developers of inFAMOUS: Second Son touted it as a game that would explore the cost of personal freedom and security, even if it was through the lens of superhero action. Still, it’s doubtful that anyone would have guessed that the actual game would end with a one-on-one battle with a woman who turns into a giant scorpion made of concrete. Context is important, and in light of a game that tries to seriously explore deep themes, and a villainess who banked on governmental force, seeing her turn into something out of a Saturday morning cartoon is not exactly consistent. To be fair, she also turns into a giant boulder, and a concrete snake that can fly for some reason. 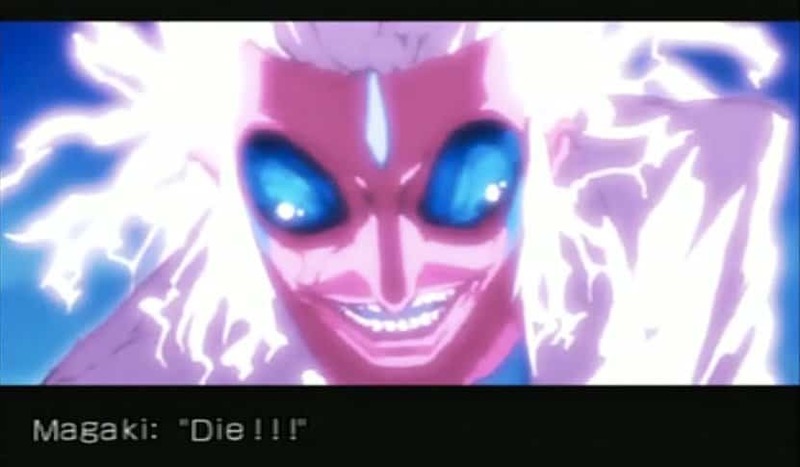 No More Heroes as a franchise is chock full of absurd bosses, but in the first game, one of them was dispatched before he could even land an attack. In the sequel Desperate Struggle, Dr. Letz Shake gets to have his grudge match — albeit as a brain packed into what looks like it could double as a rocket ship. When he’s not dishing out robotic speech — and vocally adding “question mark” when he asks questions — he’s content with sliding around a massive arena and unleashing earthquakes that make all but slivers of the floor shoot sky high. That’s probably not how earthquakes work, but there’s no point in discussing science with a game half-built on lightsabers and wrestling moves. 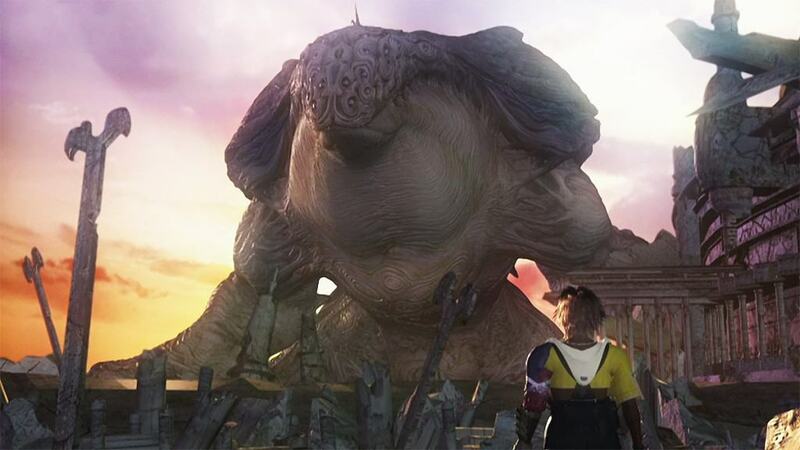 Final Fantasy X revolves around a pilgrimage to gather divine power and defeat Sin, a living natural disaster that shrugs off everything thrown its way. It’s a menace, but anyone who takes a look at it has every right to raise their eyebrows; it’s more or less a giant mutant whale with dozens of jiggly eyes and a mile-wide smile. In the game’s final hours, the party decides to fight the supposedly-unbeatable foe in melee combat atop their airship — which somehow works because enough people sung at the time to calm it down. It’s not exactly congruous, but it’s still capable of causing an instant game over if the player doesn’t win fast enough — which it does after getting close enough to the airship for a kiss. 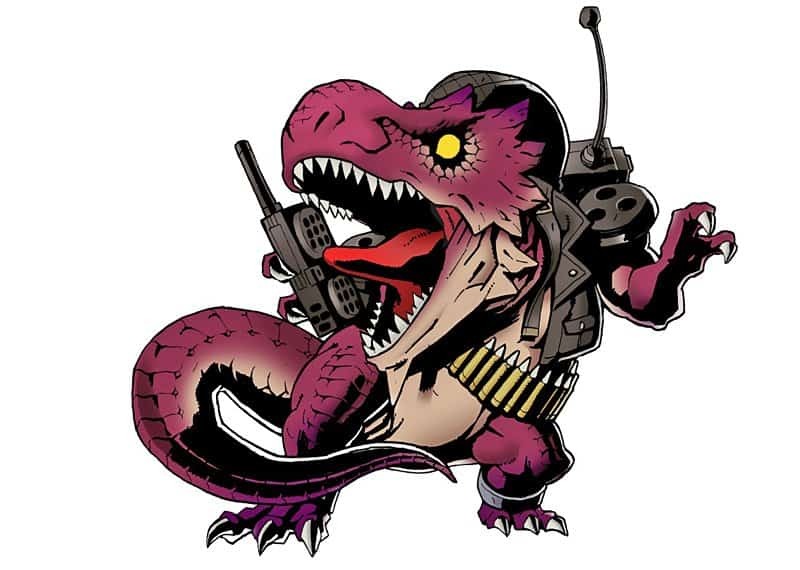 Right off the bat, Viewtiful Joe 2’s Big John makes a name for himself by being a talking dinosaur convinced he’s a part of some army — and he follows through on that with air strikes and a bugle call as part of his theme song. 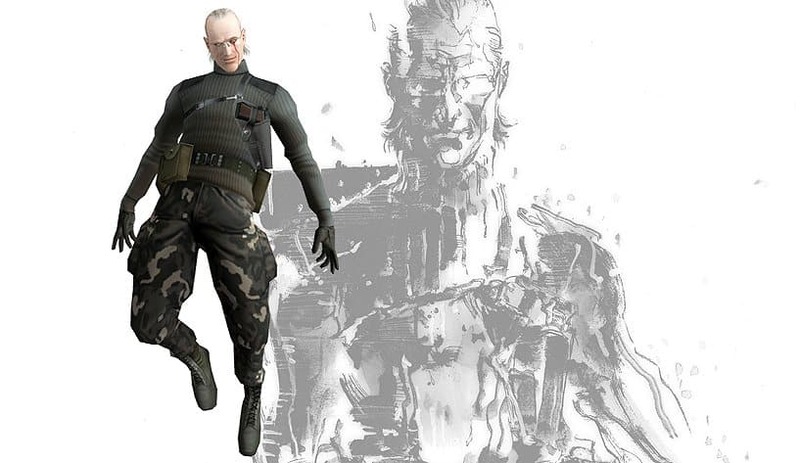 But even after he’s beaten — and blown up — he proceeds to return in virtually every level, just to hassle the player. His aesthetic may change each time, and he doesn’t exactly get the chance to chat it up, but the fact still remains: there’s a dinosaur that uses an arsenal of props, machines, and costumes just to try and even the score. 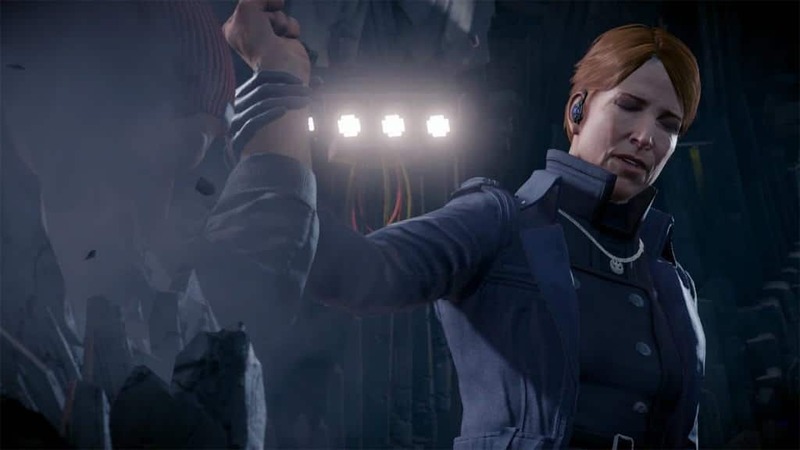 King of Fighters lives on in infamy for a squadron of horrifically-difficult bosses, and its eleventh installment is no exception — though it does have a caveat. Yes, Magaki is a foe that turns the fighting game into a desperate round of plasma dodgeball that most players will have no chance against, and even then he can make the screen turn psychedelic to do unbelievable, nigh-unavoidable amounts of damage. But it’s his appearance that’ll prompt a double take; he’s an average guy by default, but once the fight starts he seems fine with turning into a clawed bug-man with hot pink skin and a bad case of the shakes. Hopefully he still has his personality. 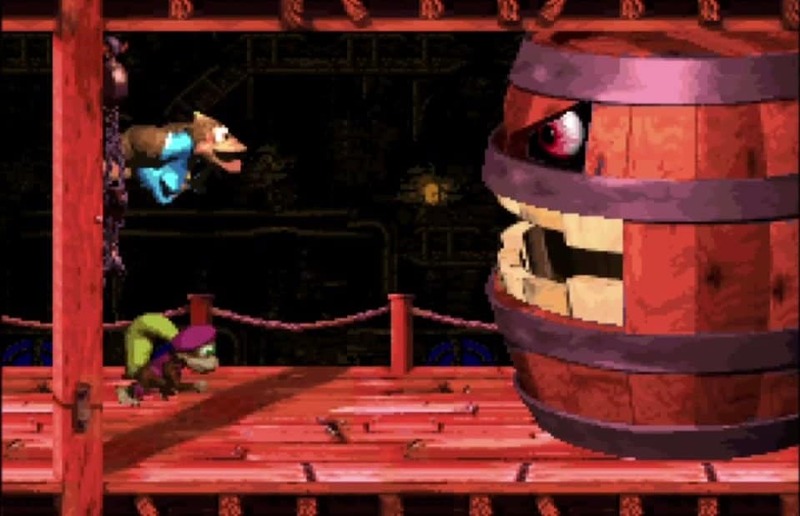 Donkey Kong has carved out his nook in history by being a gorilla eager to toss barrels, but Dixie Kong’s Double Trouble asked a question no one else bothered to: “What happens when the barrels try to get their revenge?” The answer to that is the game’s first boss, Belcha, which is quite literally a giant barrel with a mouth and angry eyes. Sadly, his attempts at revenge are easily thwarted, and by his own hand; he constantly launches bugs at the player, which can be thrown back into his mouth to make him belch his way off the edge of his arena. There’s a gripping narrative in there somewhere about the perils of blind vengeance, but for now the world will have to sate itself with ruminations on the common barrel’s digestive tract. 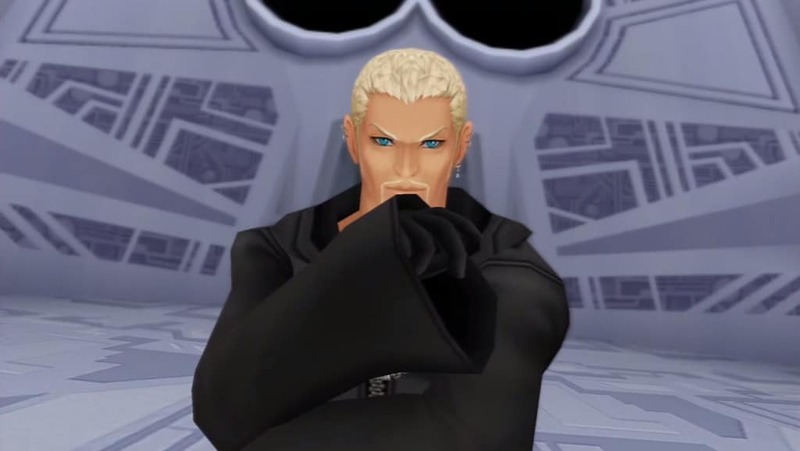 As a member of Organization XIII, Kingdom Hearts II’s Luxord has control over one of the elements — in his case, time. 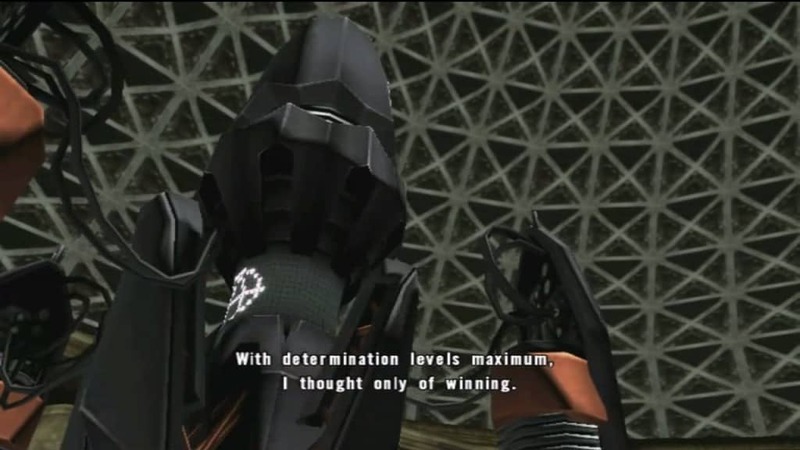 Rather than use that power to instantly win anything and everything forever, he decides it would be a much better idea to play games with his opponents. That’s no exaggeration; not only does he make use of playing cards and dice, but he also forces the player to fight him with a strict time limit and rules that he doesn’t even try to explain adequately. Apparently he’s a believer in foul play, especially since he has no problems turning the player into a living die — one that can still attack, but a die nonetheless. Dragon’s Crown is a game bursting at the seams with lavish visuals and artistic design, which get used regularly to bring all sorts of towering monsters to life. 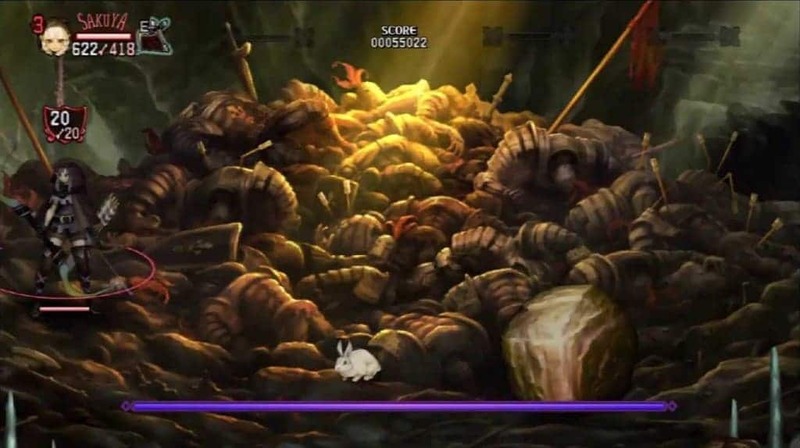 Then there’s the Killer Rabbit, which is not only the size of a regular rabbit, but can easily get lost in the shuffle of combat — especially when four players go at it. Incidentally, it’s an extremely dangerous opponent; not only can it toss around tornadoes like they’re nothing, but its physical attacks will brutalize anyone caught unaware. That’s not bad for a blatant Monty Python reference. 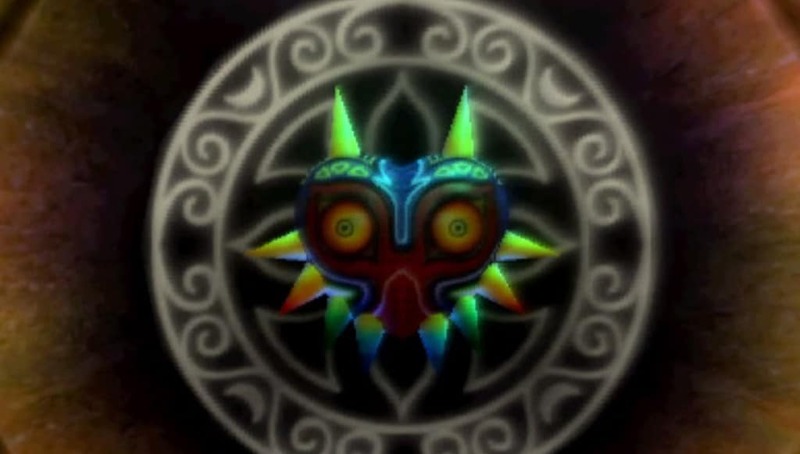 The Legend of Zelda as a whole has seen plenty of speculation over the years, and rightly so — and Majora’s Mask alone is all the justification anyone could need. When the player finally earns the right to fight it — inside the moon, which is apparently both an idyllic field and a rainbow-walled prison — the mask itself attacks with its spikes and laser beams. Then things get bizarre when it sprouts arms and legs and dances around with high-pitched shrieks. Then things get even more bizarre when it hulks out and attacks with whips and spinning tops. Not much is known or explained about the mask, but considering what it does — and how it looks — that might be for the best. 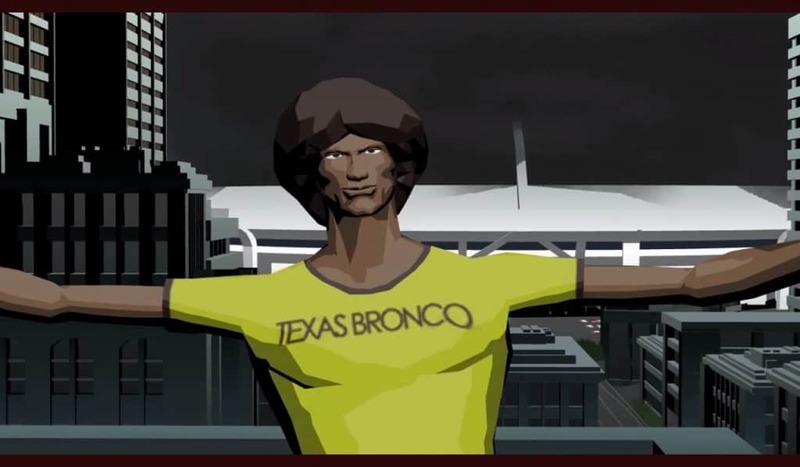 Killer7 as a game doesn’t make sense, so it’s silly to expect a “simple” boss fight to make sense. To wit: prior to the boss fight, Ulmeyda is a cult leader whose multimillion dollar corporation airs commercials, and whose headquarters is a cardboard cutout. For one reason or another, he injected himself with a virus to turn him into a monster, just to see if he can handle it. Naturally he can’t, and turns into a shambling, tendril-laden zombie who can only be defeated by being shot in his one free-floating weak point: his afro. Anyone who needs a moment to sit down and catch their breath from just reading a description is entirely justified.